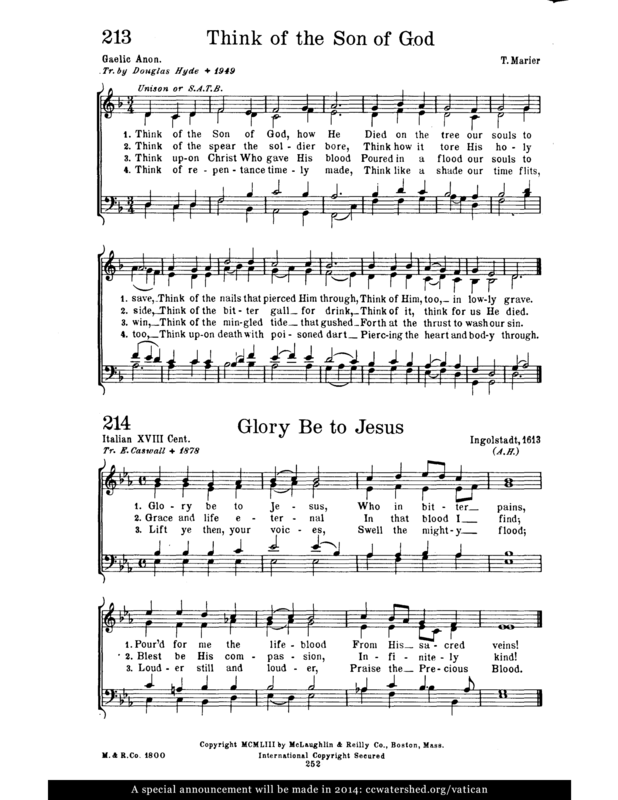 I love this hymn. Why is it one of my favorites? Because 1) It is a meditation on the Passion of Christ, 2) the melancholy melody makes me immediately become aware of His sufferings, and 3) the simple poem is bursting with imagery. 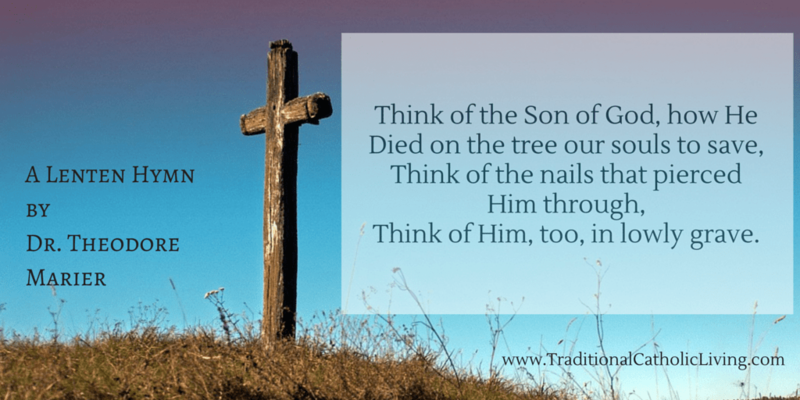 I hope you come to love this hymn as well! It is so nice to sing during Lent – it’s our bedtime “Lenten Lullaby”. From the St. Pius X Hymnal. Found online at ccwatershed.org. Think of Him, too, in lowly grave. Think of it, think for us He died. Forth at the thrust to wash our sin. Piercing the heart and body through. Marier also published a hymnal called Cantus Populi (McLaughlin and Reilly).